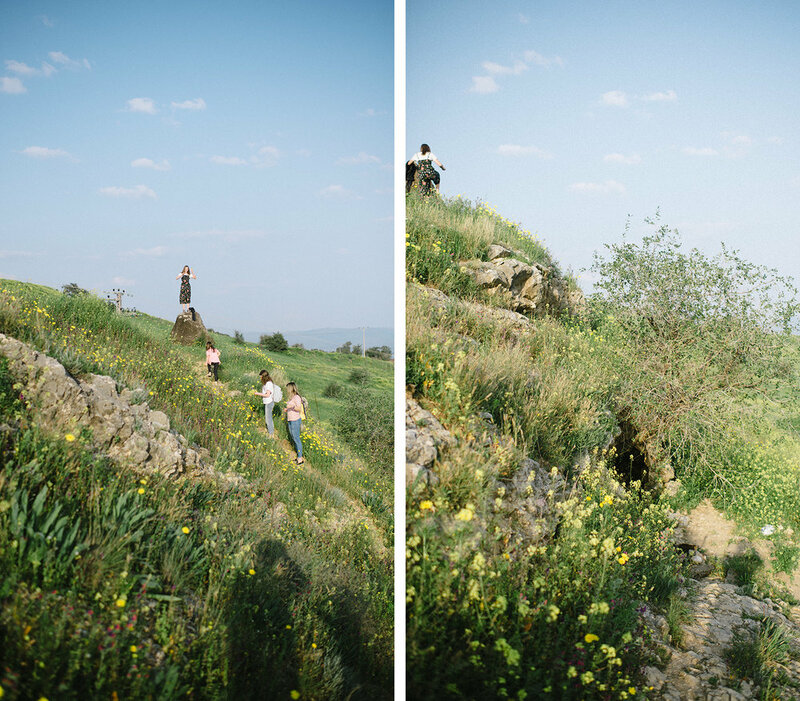 We had a handful of lessons from the new “Come Follow Me” manual that we taught and talked about here in this absolutely stunning area by the Sea of Galilee. Springtime anywhere is always glorious, but I don’t think we were prepared for how amazing this place would be when it turned completely green and sprouted flowers of every color of the rainbow. Which obviously added to the majesty of learning about the Sermon on the Mount and the Beatitudes. 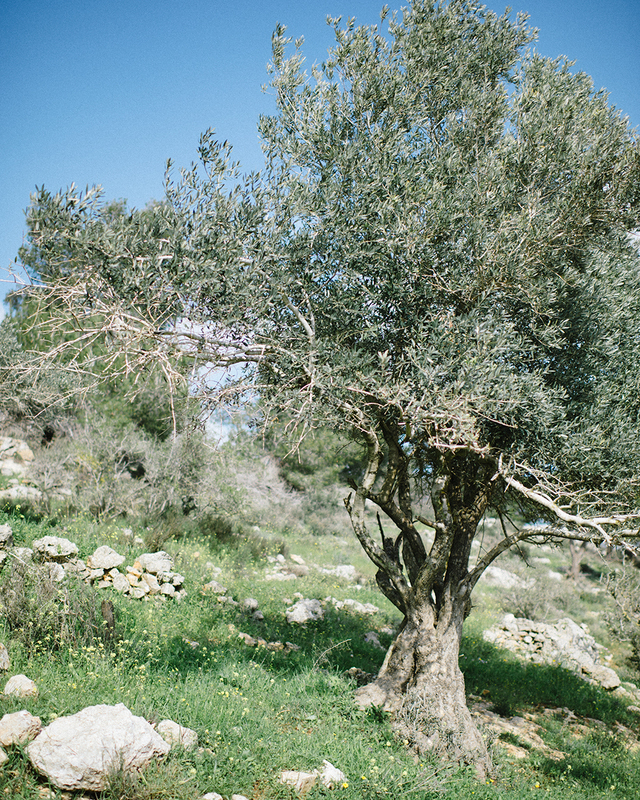 It didn’t take much for this to become one of our favorite places to go by the Sea of Galilee. This exact spot is just above Eromos Grotto, where many believe the Sermon actually took place (versus way up the hill near the Beatitude Monastery). Its location right off of the sea makes more sense, but as with most sights in the Holy Land, there is really no way of knowing exactly. After soaking in the incredible 360 degree views, taking all the pictures and picking small bouquets of wildflowers (that the girls later pressed and are hoping to keep), we sat down and talked about the importance of things like laying up treasures in heaven instead of earthly ones. “For where your treasure is, there will your heart be also”. And the equally important lessons of not judging others and relying on the perfect aid and love of Heavenly Father to receive true joy in this life as well as the next. There are a couple of simple monuments in the spot, marking where the sermon might have taken place. Its simple and gorgeous and peaceful. These girls have learned and grown a lot in this place and I hope what we’ve taught them (and what they’ve taught us), the way they’ve felt and the important place they got to learn about these lessons sinks deep. And then we watched the sunset. Cannot recommend this spot highly enough. There is a little trail that leads from the grotto to the top of the hill and its bathed in wildflowers. Later during the week, Brian, myself, Tessa and Lauren wanted to go for another longer hike. We started out toward Qmran, near the Dead Sea. But, Brian realized that he didn’t have the time, with work commitments later in the day, to make it back. So, we opted for a quick hike through the Kidron Valley in Jerusalem instead. We’ve always been intrigued with this valley that separates Temple Mount from the Mount of Olives so hiking it seemed like a great idea. Except there are no trails and parts of it are not exactly in the best areas of town. We had to turn around a couple of times when we encountered impassible sidewalks filled with trash and other debris. But, parts of it were really pretty! And, it’s always nice to get out and see a different part of Jerusalem. Tessa has proclaimed that hiking is her favorite thing in the world…she says “you may not want to do it at first, but its always worth it at the end”. True statement. We hiked to the top of Bible Hill for this new view as well . I had no idea how hilly this area would be and it gives you so many different views of the city from so many different angles (and lots of traffic as most routes are very circuitous). See what I mean about it being so hilly?? Love this place. We don’t have much time left in Israel, so we are trying our best to take advantage of every free second (and every sunny day as spring showers are a real thing here!). So glad we got to get out on this day.